Special Injection Molding Techniques covers several techniques used to create multicomponent products, hollow areas, and hard-soft combinations that cannot be produced with standard injection molding processes. It also includes information on the processing techniques of special materials, including foaming agents, bio-based materials, and thermosets. 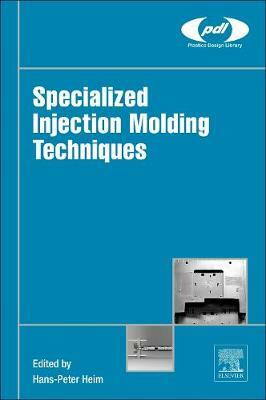 The book describes the most industrially relevant special injection molding techniques, with a detailed focus on understanding the basics of each technique and its main mechanisms, i.e., temperature, mold filling, bonding, residual stresses, and material behavior, also providing an explanation of process routes and their variants, and discussions of the most influencing process parameters. As special molding technologies have the potential to transform plastics processing to a highly-efficient, integrated type of manufacturing, this book provides a timely survey of these technologies, putting them into context, accentuating new opportunities, and giving relevant information on processing.